OverviewThis arcade racer for the NES features eight courses from across the world and exciting 3-D action. 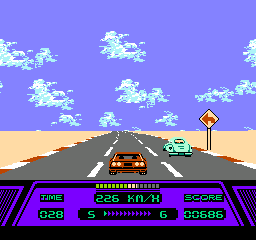 It was one of the earliest racing games for the NES. Now you can add videos, screenshots, or other images (cover scans, disc scans, etc.) 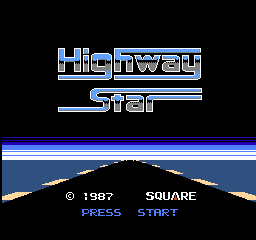 for Highway Star (Japan) to Emuparadise. Do it now!